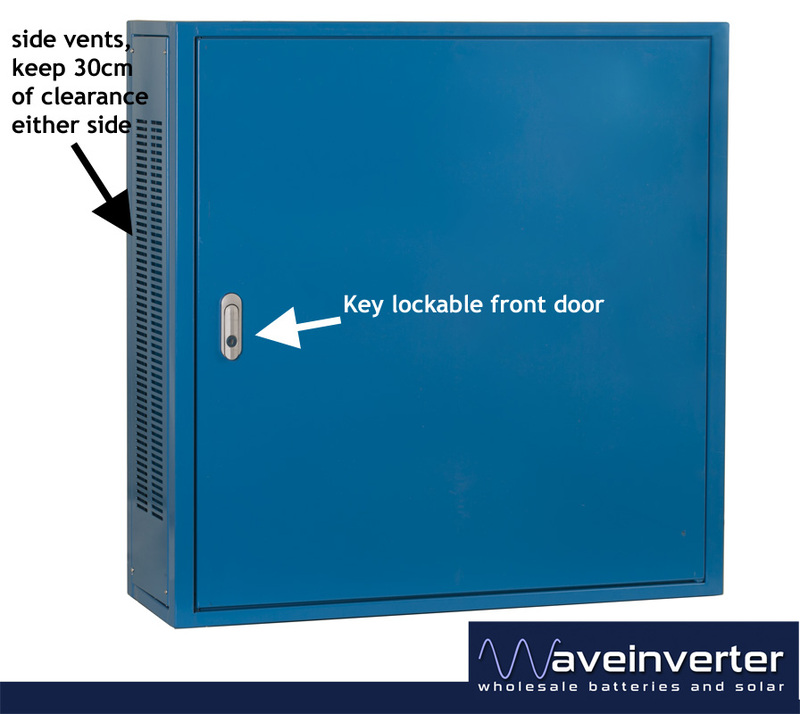 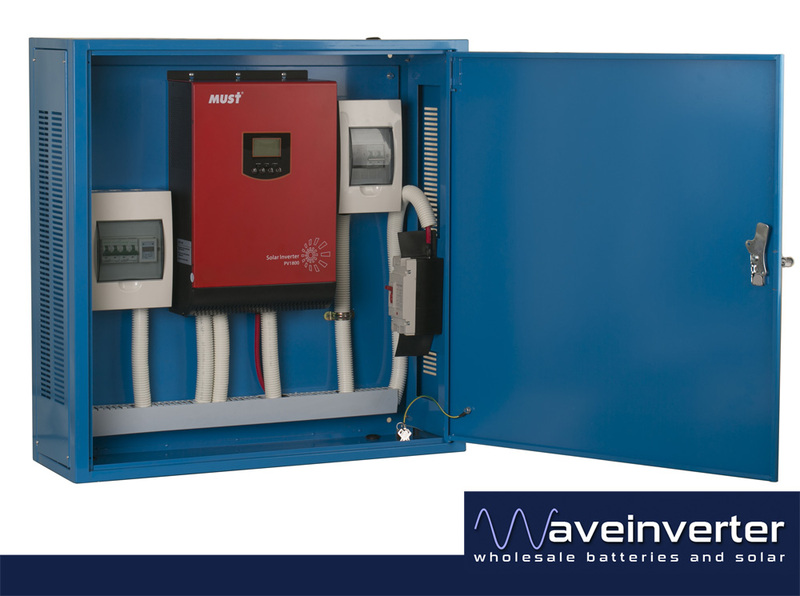 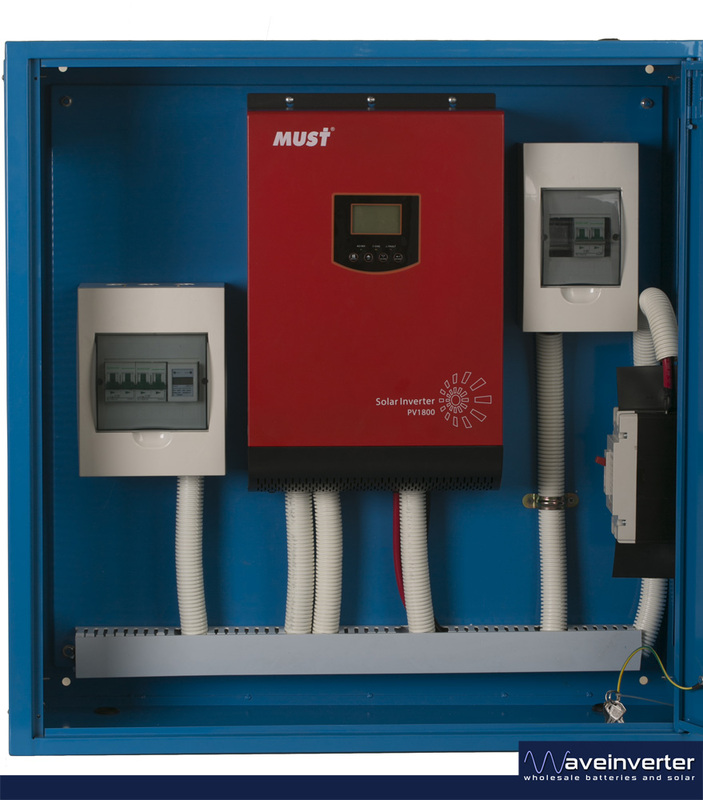 This is the Waveinverter Preinstalled Solar Cabinet 5KVA from waveinverter, with cabling, breakers, fusing, and everything else that is required – all compliant to current New Zealand solar standard AS/NZ 5033:2014 and NZ wiring standard AS/NZS 3000. 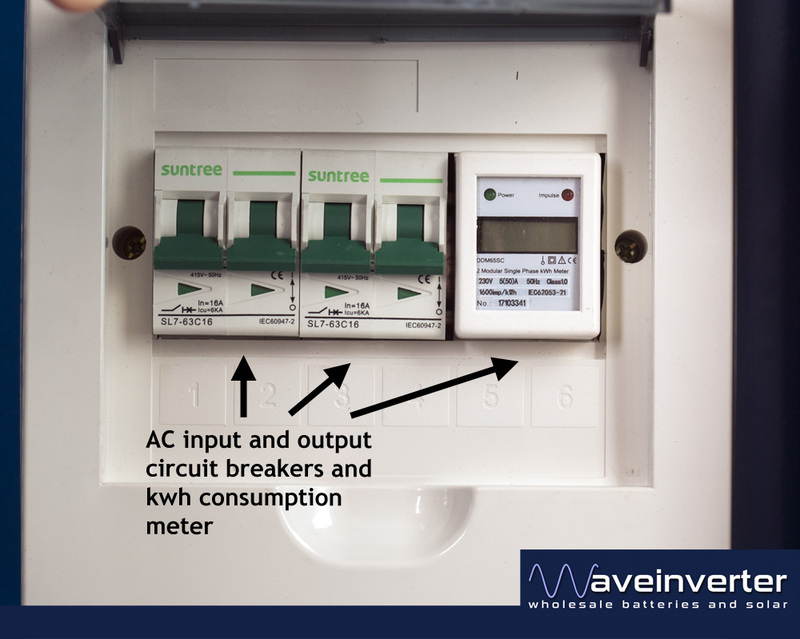 All the difficult high power DC work is done allowing you to simply screw it to the wall,connect two pair of cables ( solar cables connect to the top of the PV circuit breaker and the battery cables bolt to the bottom of the DC circuit breaker) and you are done. 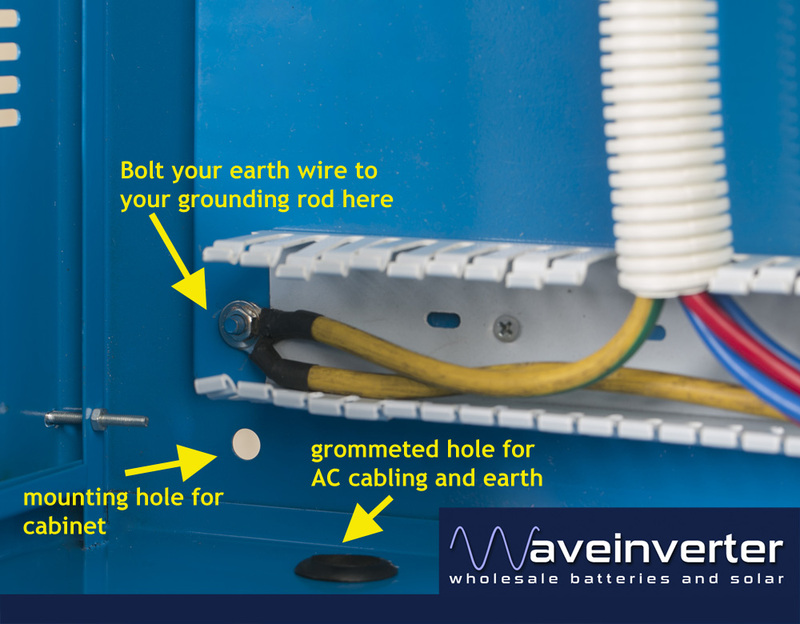 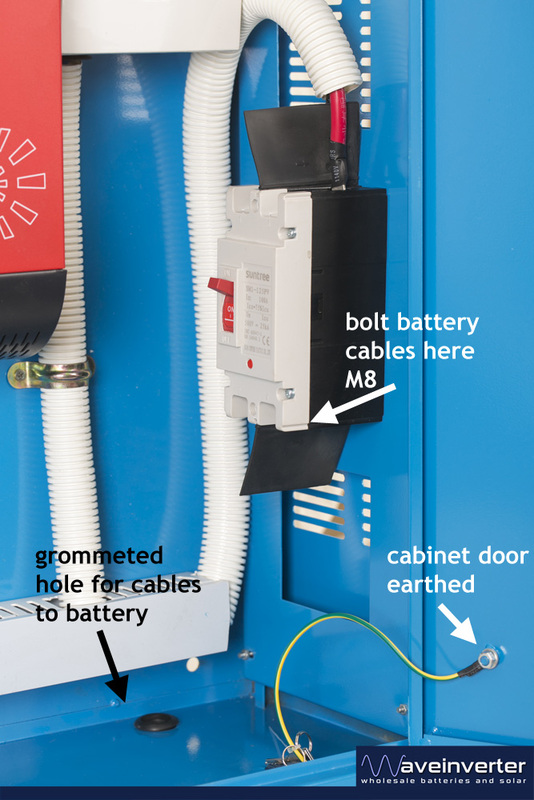 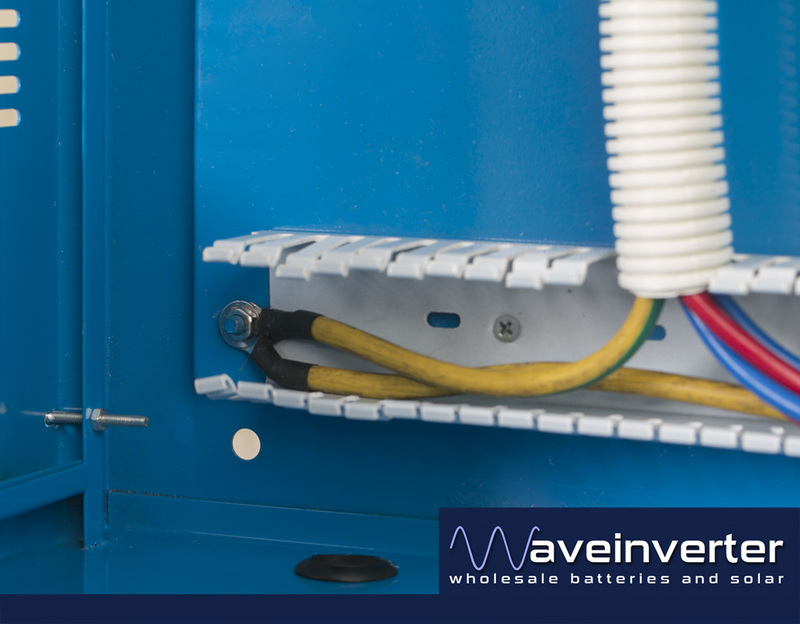 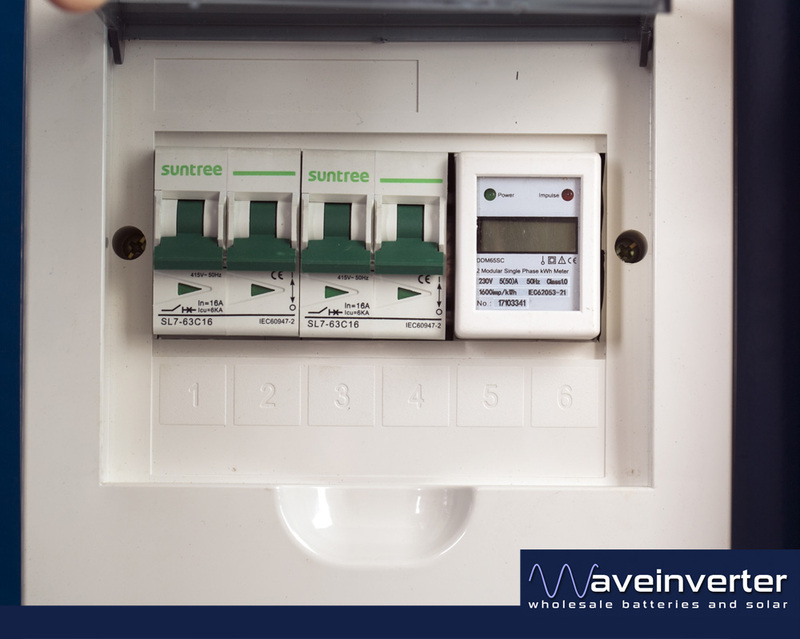 Waveinverter preinstalled cabinets come ready for you to connect to your AC system, just wire from the bottom of the AC breaker in the junction box to your AC load or distribution board and wire earth cable from the earth bolt to your earth. 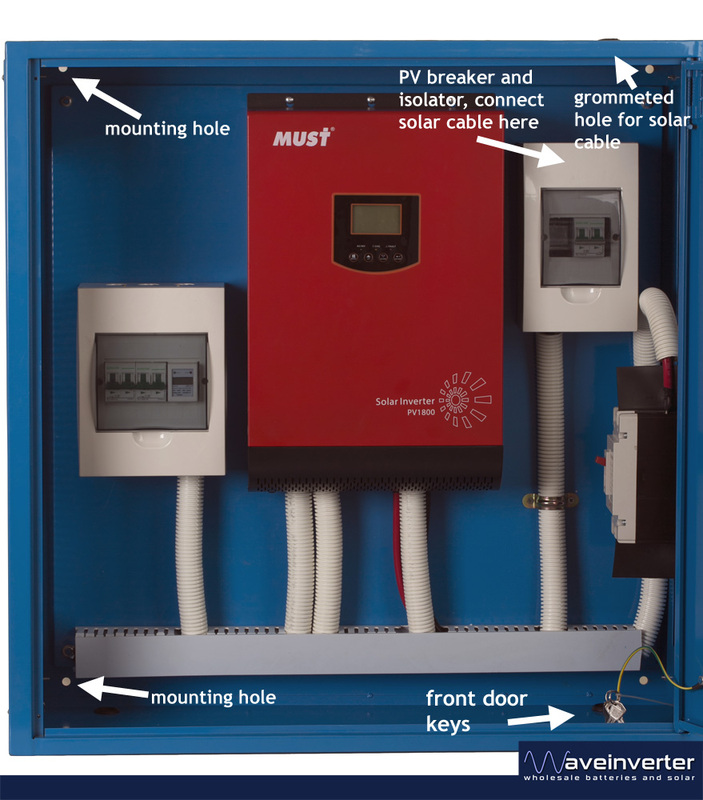 The preinstalled format ensures you have everything you need to get up and running without the frustration of trying to figure what else you need and trying to find and track down parts on site and save countless hours and money buying and reading solar and DC standards trying to figure out what you need to be doing.